The best-tasting therapy we've ever had. 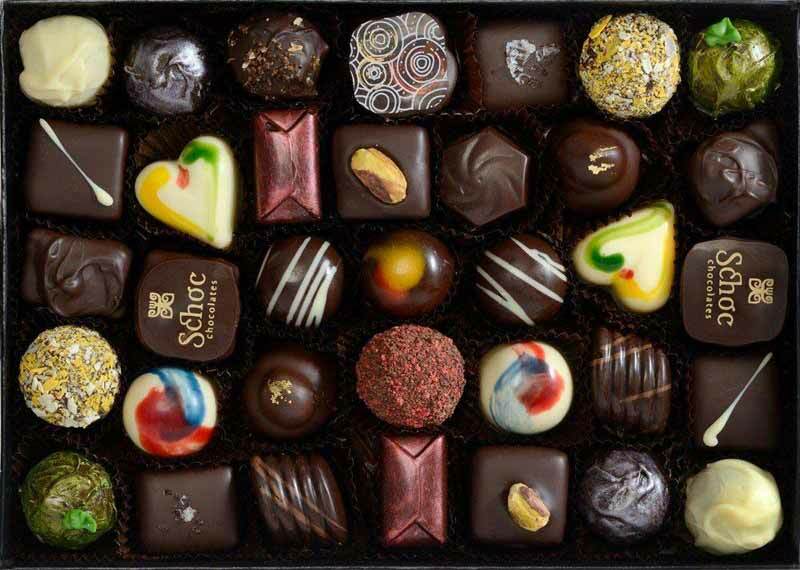 Schoc Chocolates think that chocolate is therapeutic (we couldn’t agree more), and combining the joy and health benefits of consuming quality chocolate with a deeper understanding of one’s inner self is their business’ raison d’etre. Creator of Schoc, Murray Langham, is a therapist, counsellor, facilitator and author of the Chocolate Therapy books. He first became aware of the possibilities of chocolate through his work as a chef and restaurant owner and has diplomas in clinical hypnotherapy, neuro-linguistic programming and counselling and is also a qualified culinary judge. Shoc Chocolates combines his two passions: chocolate and therapy. There are 60 flavours in Schoc’s tablet range alone ranging from strawberry or caramel to whole lime and chilli, sea salt and pink peppercorn, to name a few. All flavours are natural, locally sourced where possible, and hand crafted. Their cocoa beans are all fairly sourced from Tanzania, Java, Papua New Guinea, Cuba, Ecuador, Grenada, Dominican Republic, Ghana, Trinidad, Madagascar and Sao Thome. This same level of care and expertise goes into Schoc’s hot chocolates, and it can be tasted in the final product. The pink peppercorn hot chocolate ($6) is a completely new take on the classic hot choc with is peppery, heated after-taste. The innovative flavour takes a moment to get one’s head around, but a few sips in it was hugely enjoyable; the peppercorn flavouring cuts through the chocolate just enough to add some spice and interest, making for an excellent drink. It's the best-tasting therapy in Wellington.